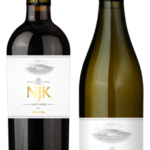 Furmint 2011, NJK 2009, Grand Bleu 2011, the trio of the NAGY EGED wine family and the KNW Collector’s Corner can be tasted again at the 24th Budapest Wine Festival. We are looking forward to seeing you at the 22nd booth, on the courtyard behind the main entrance of National Gallery, in the Buda Castle. 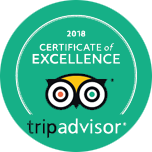 Visit us and have a taste of the KNW world! 9-11. September 2015. Wednesday-Friday: 2.pm-12.pm. 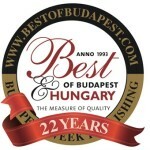 See You at the Buda Castle! 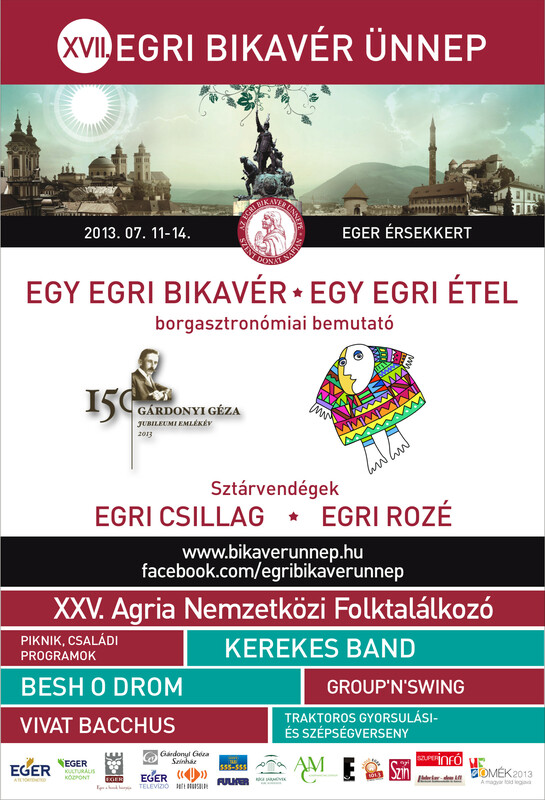 The Kovács Nimród Winery kindly invites You, your family and friends between 11th and 14th July at the Eger Bull’s Blood Festival, held in Eger, at the Archbishop Garden! 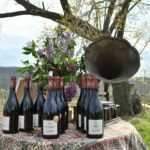 Pentecost Wine Tasting at the Kovács Nimród Winery! On Friday and Staurday (17-18. May) we warmly welcome all visitors between 4-8 p.m. for getting to know our cellars and tasting 6 of our finest wines. Preliminary application for the event is not necessary. Two gold medals on the Challenge International du Vin! 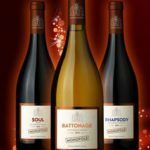 The KNW Monopole Pinot Gris 2011 and the KNW Rhapsody 2007 were both awarded with Gold medal on the Challenge International du Vin! This is the longest running major international wine competition, held each spring in Bourg (Bordeaux – France). More than 5,000 wines from 38 countries are tasted over two days by some 800 wine professionals and expert wine-loving consumers. They awarded us with two gold medals! Cheers! Unique people tasting unique wines! 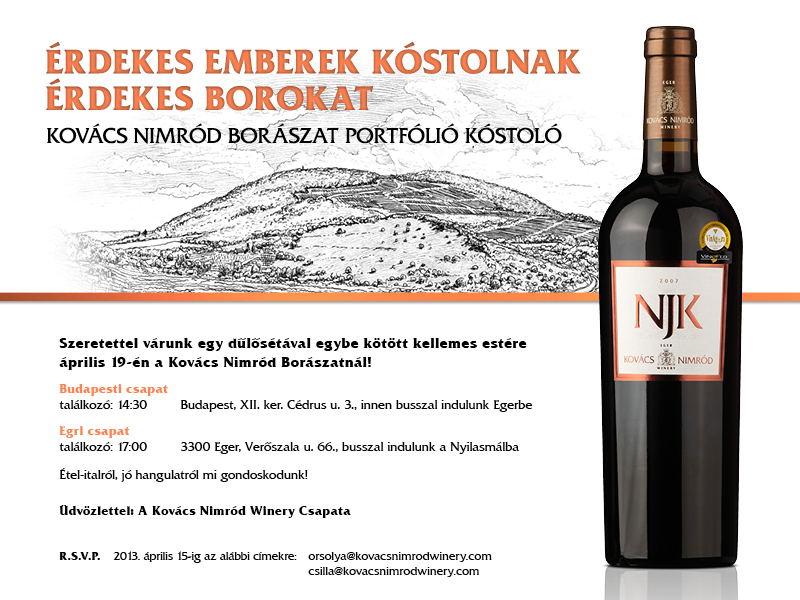 We welcome you to an enjoyable evening combined with a stroll in our vineyards on 19 April at the Kovács Nimród Winery!